Yay time for a Take 10 challenge! I really love seeing how the other take 10 girlies style up their pieces every month. 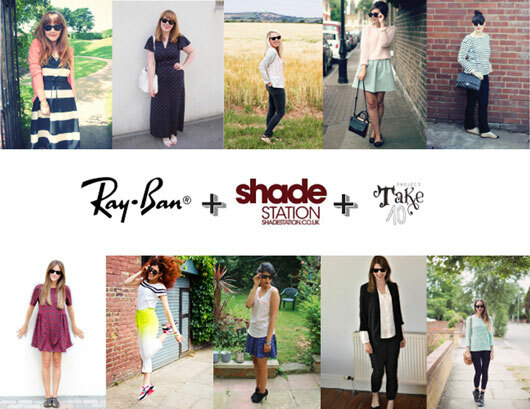 This time Shade Station was our lovely sponsor and they sent each of us a pair of classic wayfarer Ray Bans which I love! Come back sunshine! I really wanna be able to wear these more than once this summer. I took these last Saturday on a trip into town to meet my bestie Jo for some iced coffee's and a little nip into H&M... just to look of course! 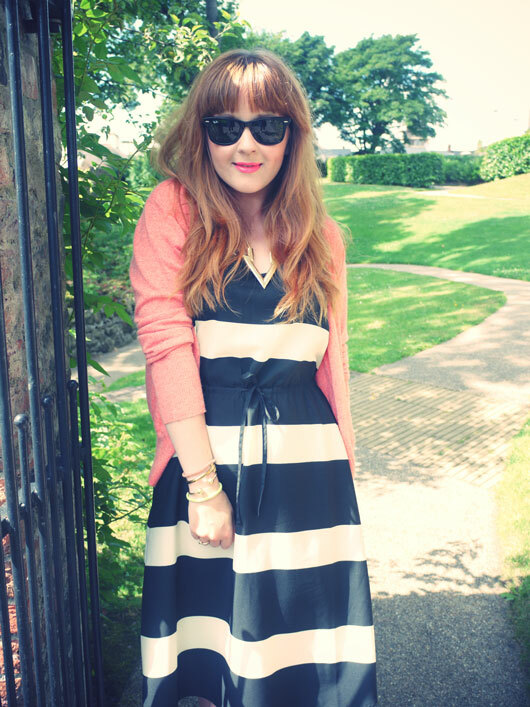 Dress: H&M, Cardy: Sample from work, Shoes: Mellisa, Necklace: Topshop, Sunnies c/o Shade Station. Just to remind everyone Im having a stall in The Fashion Souk this Saturday in Spires Mall, Belfast. Aww these look so good on you! Love the dress as well! Daaaaaang girl! Now I've got Every Morning by Sugar Ray trapped in my skull. It's fine though because I love that song & I'm loving those shades! These wayfarers look awesome on you! I'm convinced a pair of wayfarer sunglasses can be worn with anything. 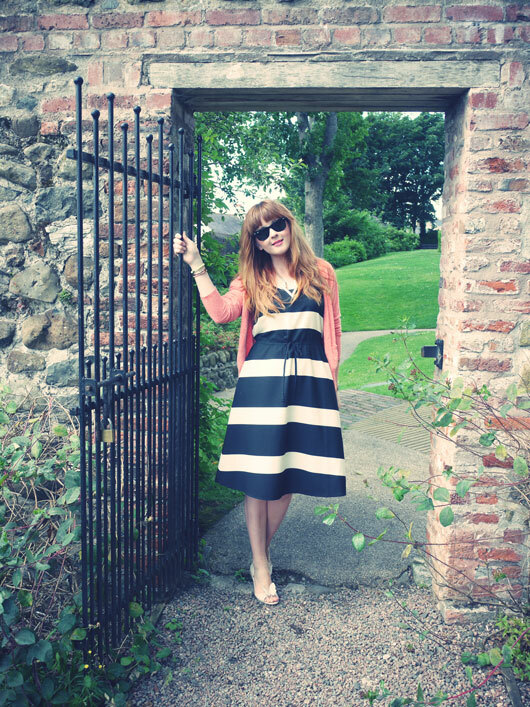 Yours look great with the bold striped dress. Also your hair looks super pretty here! 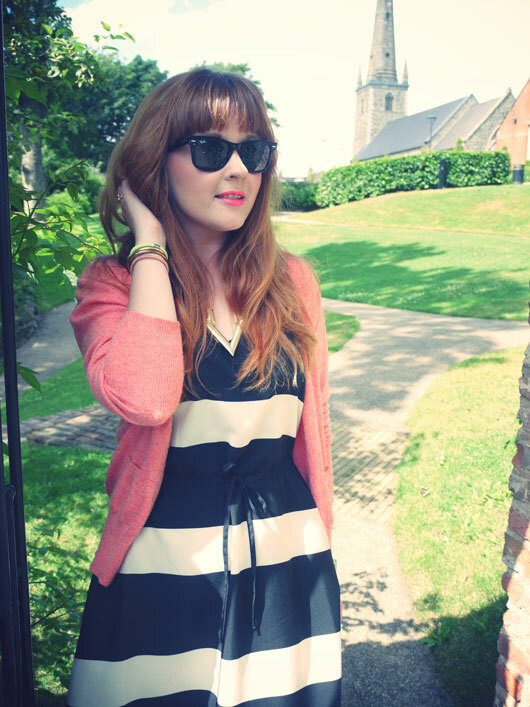 Love your look - those sunnies are perfect! I usually go to the Souk but am actually having a stall at The Style Fair in Holywood on Saturday - you should try it next! Beautiful pics and such a sweet look! Love your dress! 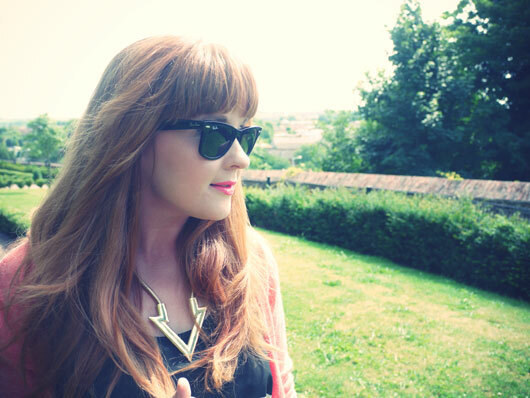 Looking lovely Vicki, those wayfarers really suit you! You look amazing Vicki ! I love that dress <3 It suits you so much so it seems like it's made for you!